For gay men, creating our families can be expensive. Here are some ideas to help you save for your adoption. Perhaps the most obvious tip (and we'll break it down further) but don't underestimate the power of saving money where you can. Start paying attention to where your dollars are going – from that morning cup of joe when you're on the run to the bought lunches everyday at work. All of those small purchases add up! Are you used to eating out regularly? Don't! Cut eating out or date nights to once a month and make it extra special. And extra special doesn't have to mean extra expensive. Think local delicious restaurant, preferably BYOB, and turn your phones off – make it count. "It is so important to cut any unnecessary spending," shared Edward (not his real name), father of a 1-year-old daughter through adoption. "Keep your goals in sight and plan for the future." Helpful hint 1: Make your coffee in a to-go cup before you leave the house; take a packed lunch with you to work. Sound simple? That's because it is! Helpful hint 2: Set aside a change jar and put all your coins in it. At the end of every month, you'll get to hear the sweet sound of "ka-ching" as you put them through the coin machine. Helpful hint 3: Plan your meals and stick to a grocery budget. Make a list (check it twice) and then don't go off it at the grocery store. Also, use coupons to further cut down on your grocery expenses. Helpful hint 4: Cut home expenses: Get a less expensive data plan for your mobile phone. Stop wasting electricity. Turn down your A/C. Don't buy the newest phone model. Choose a basic cable package or cut the cord completely and use one online streaming service instead. You probably don't need Amazon Prime Video, HBO, Hulu AND Netflix. I mean, how much free time do you have? Amiright? "It's crazy how much you can save by not eating out, not going out with friends, couponing and sticking to a grocery list," said Ben, dad of two boys through adoption. Start getting into the habit of transferring money into a separate (preferably hard to touch) savings account every payday. Figure out how much you can afford to save and transfer it as soon as you can. "We set up a budget where we saved and automatically deducted money from our paychecks into a savings account," explained Ben. Did you know that there are nonprofits ready and waiting to help couples and singles create their family through adoption? Well, they really do exist! Check out Helpusadopt.org, an organization that offers up to $15,000 for families regardless of martial status, sexual orientation, race, religion, gender or ethnicity. Grants are awarded three times a year. So what are you waiting for? Fill out your application today! Did you buy a house when the interest rates were higher than they are now? Refinance and pocket the difference into your savings account. The same goes for student loans. Shop around folks, shop around. Ben and his husband used their tax refund as a starting-off point for their savings. But make sure that you're paying the correct tax rate so you don't get a nasty surprise in April. And the adoption tax credit? If you have a spare room in your home, consider renting it out for a year. Or sign up for AirBnB and play host to vacationers. From Kickstarter to IndieGoGo to GoFundMe, there are lots of options to put it all out there and ask others for financial donations. 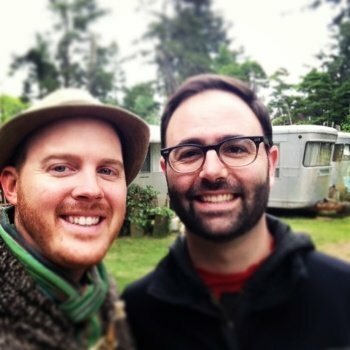 Read the Gays With Kids article on crowdfunding. 8. Find your Talent; Get Creative! We're not all blessed with talents that result in piles of money, but we all have personal interests. These dads turned their passion for renovating and flipping homes into their key ingredient for saving for adoption. Time to start thinking how to turn your skill into a paid resource. No untapped talent to speak of? Get a second job or try selling some of your things that you no longer need in a yard sale or on Craigslist. "Get a second job, budget and start living as if you have that child," advised Ben, whose two adoptions cost $71,000 in total. "Children cost money once they get here. Change [your lifestyle] now and save that money!" See if your employer provides any financial assistant to families who adopt, and if they don't already, consider speaking with your HR department. For example, active duty military personnel may be eligible for a $2000 reimbursement. This isn't possible for everyone but for those who can, consider asking your family for help. Relatives often don't realize how much an adoption costs, but once they do, your parents (or grandparents or loaded uncle) might want to help. It could be by way of a low or interest-free loan, or as a gift. This might be your last option, but it's worth giving a go. "If you are close to your family, think about asking them for help, if it's within their financial means," said Edward whose one adoption cost $36,000. Foster-to-adopt can be a totally free option but it can come with its own set of hurdles. Ultimately you have to decide what the best path to fatherhood is for you. For more, read our article “Adoption Glossary Terms Every Adoptive Gay Dad Needs to Know." 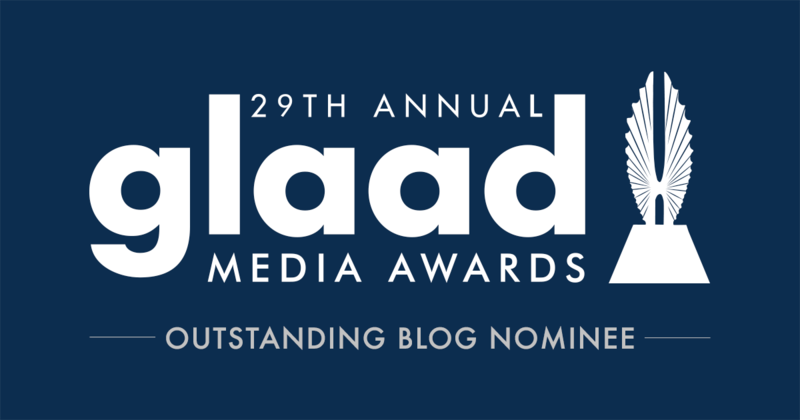 And read “Agency or Independent Adoption: Which Should Gay Dads Choose?" Don't forget to read our indispensable guide to adoption: “Paths to Gay Fatherhood: The Adoptive Dad." 1. Start networking before you begin your campaign. Gay dads – out of financial need or anxiety to get started – often want to jump straight into a crowdfunding campaign: setting goals, crafting donor rewards, picking a site. But our dads tells us that the best campaigns don't actually start with the campaign. They start with identifying potential donors from your own family, friends and coworkers. "The biggest takeaway from our campaign was that you don't start your journey with crowdsourcing," said Kirk and Anthony. The couple raised more than $10,000 toward the cost of surrogacy with their second campaign. "We started to realize that we already had so many awesome friends and family who wanted to support us in becoming dads." 2. Set a realistic campaign goal that targets a specific expense. 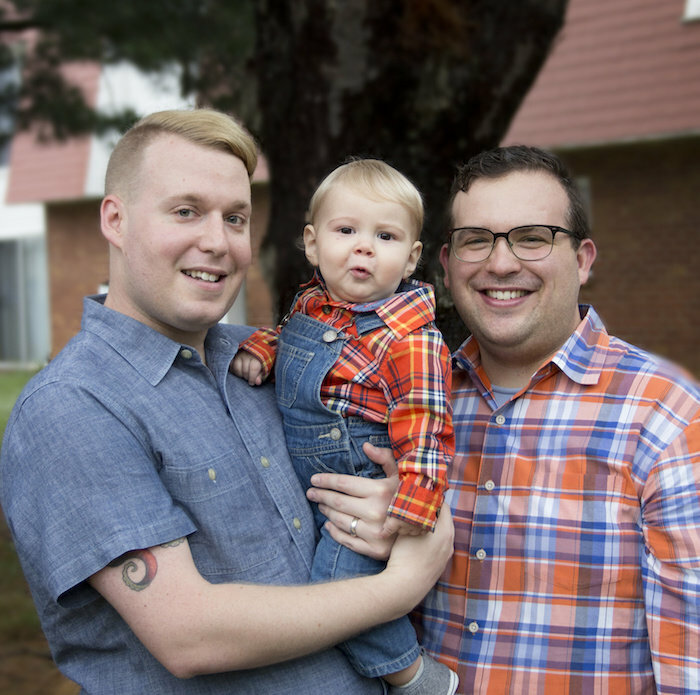 For some gay dads, setting a campaign goal can veer to extremes. Dads either shoot for the full price of their adoption or surrogacy, or they set a low goal out of modesty or uncertainty. Like most dilemmas, the best solution is somewhere in the middle. What worked for our gay dads was setting or achieving a goal that applied to a specific expense. Crowdfunding for Kirk and Anthony was used to "fill in any gaps" in their budget after accounting for loans, savings, and grants. 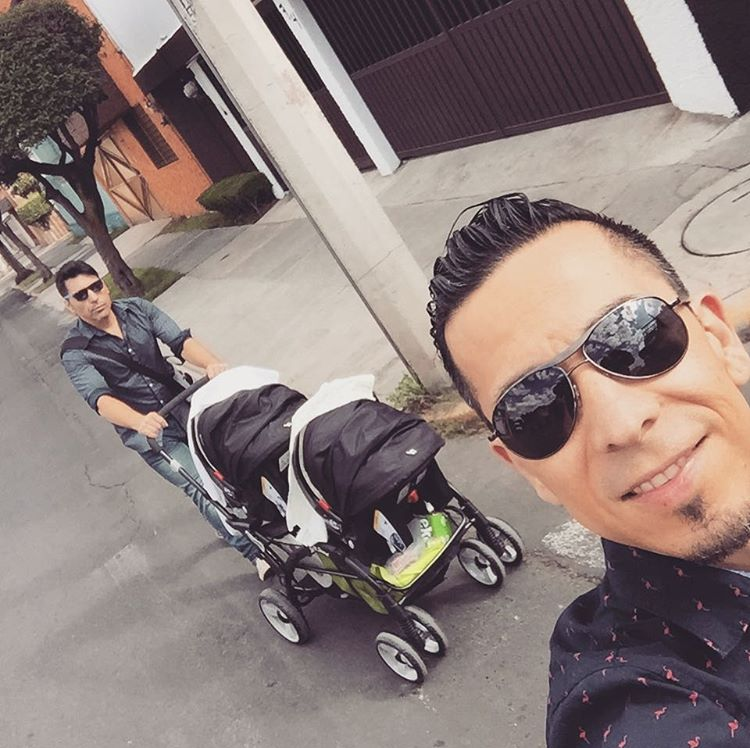 Ignacio and Ulises, another couple seeking surrogacy, set a crowdfunding goal for the total amount of the surrogacy. They fell short of their goal, but they used the money strategically. "The amount that we raised was nearly the exact amount of the next payment due to the agency," the dads said. "We had just suffered two failed embryo transfers, and we were up against a financial brick wall. Luckily, we had just raised over $8,000, which was just enough to cover a third attempt." The third time was the charm: Ignacio and Ulises embryo transfer was a success and ended up producing twins. 3. Choose a crowdfunding platform. You've considered your immediate support network. You've picked a reasonable financial goal that tackles a particular expense. Now, you're finally ready to pick a crowdfunding site. GoFundMe, IndieGoGo and Generosity all offer campaigns where, even if you don't meet your goal, you will keep the money raised. IndieGoGo also offers an all-or-nothing campaign in which you only receive the donations if you meet your goal. Most campaigns offer the option to reward donors at certain donation levels with gifts or prizes. "GoFundMe allowed us to keep (almost) every dollar whether we hit our goal or not," explained Anthony and Dom, "Which was important because we needed every bit of financial help imaginable." While setting up a campaign is free, crowdfunding websites do charge fees on individual donations. That's a 5 percent platform fee for both IndieGoGo and GoFundMe. There is also a processing fee for donations, which varies slightly; around 3 percent depending on the payment type. The main difference between these two top sites often comes down to personal preference­ – what dads think of the marketing options, even down to which website "looks" better. If you're researching other sites, it is critical to know the platform and processing fees, what is required to receive the donations, and what marketing services are offered. Anthony (left), 32, and Dom, 35, from Old Bridge, New Jersey. Crowdsourcing campaign: GoFundMe. 4. Come up with a marketing strategy. In crowdfunding, getting more eyes on your campaign means more contributions. While your crowdfunding platform of choice may offer certain marketing options, you have to take your campaign into your own hands. That means a full digital and social media commitment. "We definitely let ourselves get creative with branding," Kirk and Anthony said. "We started a blog. We also created Facebook, Twitter, Instagram, and Pinterest accounts and started following others who were either potential supporters or just folks who great information and resources." Ignacio and Ulises dipped into Ignacio's talents as a video editor to create original videos for their campaign. "We wanted our story to always be as authentic as possible, but to also be funny and lighthearted and full of joy, because that's who we are," they said. Whoever you are, you have a story and a voice. Your marketing strategy needs to leverage what's special about you and your wish to start a family. 5. Create a schedule for updates to your donors – and keep to it. Ask any professional YouTube or other social-media star about the key to success, and you'll always get the same answer: scheduling. Successful crowdfunding campaigns are no different. Campaigns depend on a comprehensive schedule of updates and contact with an audience of actual or potential donors. "Momentum is key to success," Kirk and Anthony agreed. "Timing is crucial too. During the campaign we posted updates at least twice a day. We created mini-goals, like, 'Let's raise $500 by the end of the day!' And as we got closer to the mini-goals, we would update and post to the platform." Keeping your campaign regularly populated with content keeps your story fresh and gives donors more to share in their own networks, bringing more eyes on your campaign. 6. Decide how you want to give back to donors. Donation rewards are a common feature of crowdfunding campaigns­ – for example, a $10 donation could get someone a personalized mug. While many charity donors are just happy to donate and don't actually redeem the rewards, offering the rewards adds another incentive for donation and helps contribute to your authenticity. Ignacio and Ulises made homemade gifts focused on the theme of joy – the joy they felt in realizing their dream of becoming dads. "Our donors received a personalized thank-you card, and those that selected a perk received their perk: a Joy candle, a men's Joy t-shirt, or a women's Joy t-shirt," they said. 7. Prepare for negative comments. Crowdfunding an adoption or surrogacy actually comes with a unique challenge: negative attacks from commenters. 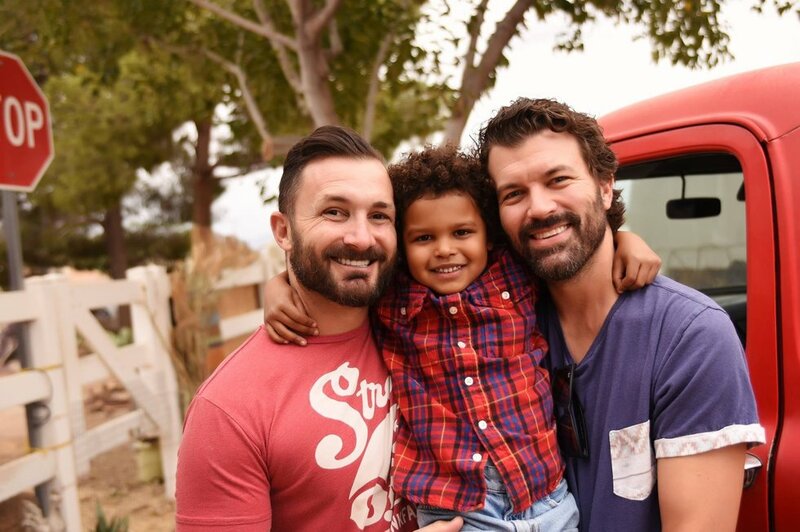 Many dads were surprised that these negative comments actually came from other gay dads. Most were targeted at those dads who were pursuing surrogacy, instead of adoption or foster care. "We received unimaginable flack, even from those closest to us, who mistook our inability to drop $20K as an inability to afford the everyday costs of parenting," said Anthony and Dom. "Be prepared for that, because if you're not, it's going to sting badly." "We were accused of begging for money, being selfish, irresponsible, and financially unprepared to become parents," Kirk and Anthony said. "Several people assumed that we had not done research, as if we were completely oblivious to the ways in which we could become parents." While surprising, it's best not to get sucked into online debates with negative commenters. You as a hopeful dad know what's best for your family. Spend your energy on marketing your story and spreading your message­ – not debating about one way of raising a family over another. For a GoFundMe to be successful, it needs to be engaging. Make sure to include a strong photo or video to help potential donors connect with your campaign. Write a clear, heartfelt, and detailed story in the campaign description, and be transparent about what the funds are for. If you have a Facebook account, be sure to connect it to your GoFundMe. It helps verify your campaign and makes it easy to share with your friends, family, and community. Social media, including Twitter, WhatsApp, Facebook, email and other channels, will help you get maximum exposure and awareness. Some of our most successful GoFundMes have had a hashtag. Post frequent updates, additional photos, and send thank-you notes to your supporters. This will keep your donors engaged and encourage more sharing. Helpuadopt.org is putting adoption within reach for our families! Eight years ago, Jay Faigenbaum messaged Adam Jacobs on the dating site Match.com. Adam had let his membership lapse, however, so wasn't able to read the email. “I'd kind of given up on dating at that point," Adam admitted. Still, he was intrigued by Jay's mystery message. “I called customer service and said, 'Dr. Phil promised me six months free if I didn't find love on your site,'" Adam laughed, referencing a commercial from the time featuring the self-help guru. Sure enough, the company offered Adam six months for free. But as it would turn out, one extra day was all he needed. “Jay's email was the last I ever read," he said.